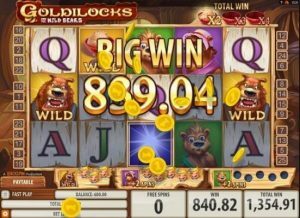 Quickspin, one of the leading casino software providers in Australia brings you yet another exciting fairy tale themed online pokie – Goldilocks and the Wild Bears. Aussie gamblers have an opportunity to reminisce about one of their childhood stories while enjoying the reel spinning action. The casino game was created in a way that brings back every part of the fairytale in 3D graphics, top-notch animation and sleek sound effects. There are plenty of opportunities for players to win real money in this game. Read on below and learn more about what Goldilocks and the Wild Bears has in store for Australian players. Quickspin has always made sure they stand out when it comes to online pokie games. Although standard pokie features were added to this game, the casino software provider added an amazing range of winning opportunities for gamblers, making every spin unique and worthwhile. The casino game is a five-reel video pokie with 25 paylines. The minimum wager that can be placed by AU players is AUD$0.25, and the maximum is AUD$250. This is amazing as it suits the budget for all gamblers – the low roller and the high roller players. On the bottom right corner of the player’s screen is an orange spin button. Once pressed, the reels will start spinning. For players that don’t want any interruptions when playing, they can click on the ‘Auto Spin’ button, and the reels will spin continuously. Goldilocks and the Wild Bears pokie has two wild symbols. One is represented by a bowl of porridge (also acts as the multiplier wild) and the other by the cottage. The latter replaces all the symbols in the game except for the scatter symbol. 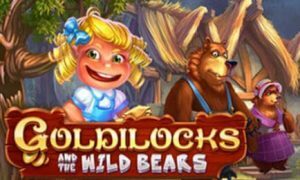 Goldilocks represents the main scatter symbol and plays an essential role in the game by assisting players to have more wild while earning free spins. The game is a well-constructed online pokie that’s easy on the eye, meaning it is easy to play. Goldilocks and the Wild Bears will undoubtedly have Australian players excited about one of their all-time favourite childhood stories. Visit any of the Quickspin Casinos we feature and start playing today!